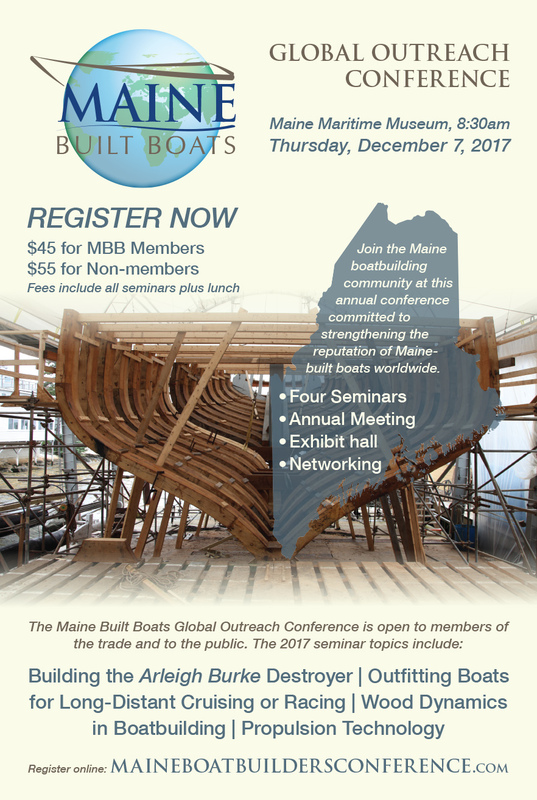 Register now for the 2017 Maine Built Boats Global Outreach Conference! The sixth-annual event will be held at the Maine Maritime Museum in Bath on Thursday, December 7, from 8:30am to 3:30pm. Members of the trade, students, and the general public are invited to attend. Seating is limited. Learn more on the the conference website.